Not truly a rock climbing or bildering story, but a gem of a story waiting to be told and of an obviously popular local Bildering venue before Climbing, Free Running or Parkcour had any popularity. So who is our Bilderer. Arthur was born Arthur Byrne Pinner on 18th September 1898 in New York. His father Louis Pinner was from Polish and German parents and his mother Nellie was from English and Irish parents. 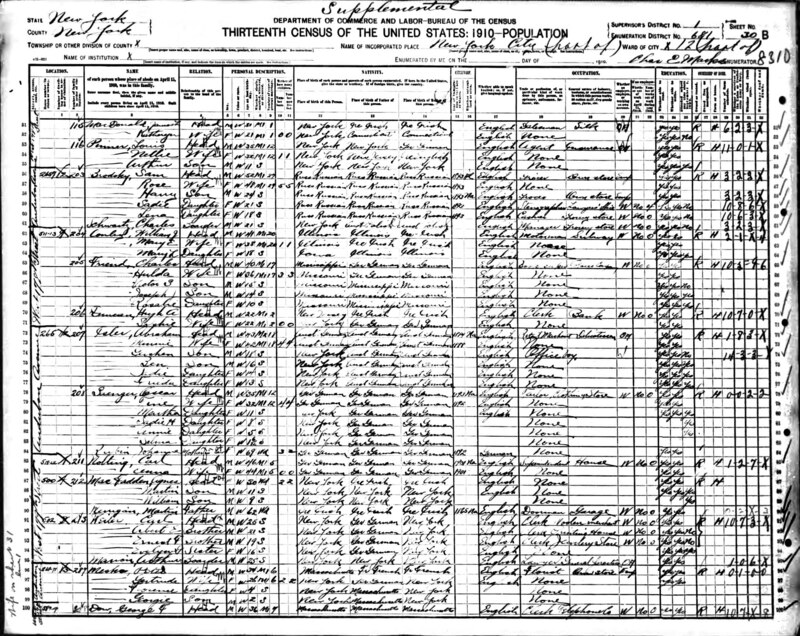 In 1910 he lived with his parents at 503 West 178th Street, in the Bronx of New York. Pearl - A Grandmother's Stories By Pearl Adels Loeb a book of her memories growing up in New York and published by her grandson mentions him very briefly, in 1910 or 1911 we moved to a first floor apartment in the "elevator apartment house" at 523 West 187th Street,44 at the corner of St. Nicholas Avenue...I remember my first love affair. The Sunday school had a Purim play when I was ten years old. I was Queen Esther and my mother made a lovely costume for me out of white cheesecloth. The sash and crown were made of silver paper, and my jeweled necklace, which I hung around my neck, was a chain cut and made from the same silver paper. Of course, the cheesecloth stuck to my under-dress, but everyone thought I looked great (including me). Arthur Pinner played the king. He was a really handsome boy, who said he really liked me. The only trouble was that he was not as tall as I was, so the romance soon ended. 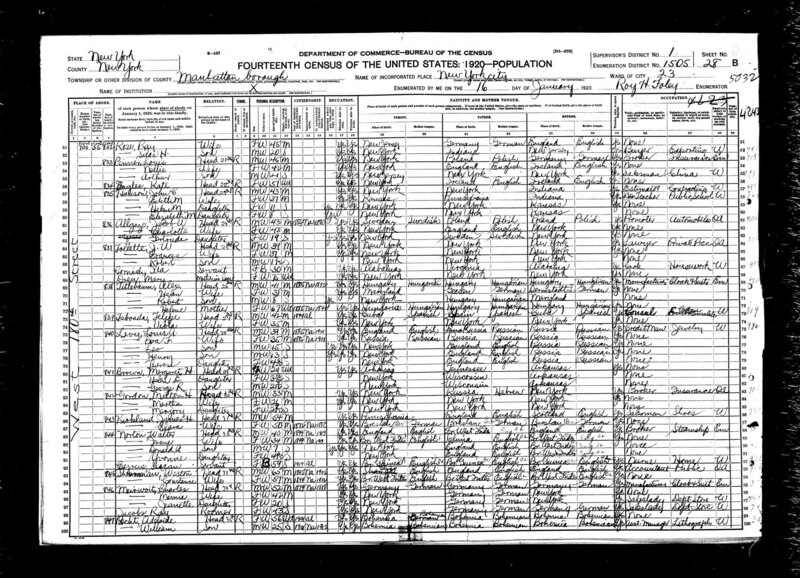 We find Arthur Pinner in the US Census of 1910 as well as his graduation from college and draft into WW1 a few months later in September 1918 . 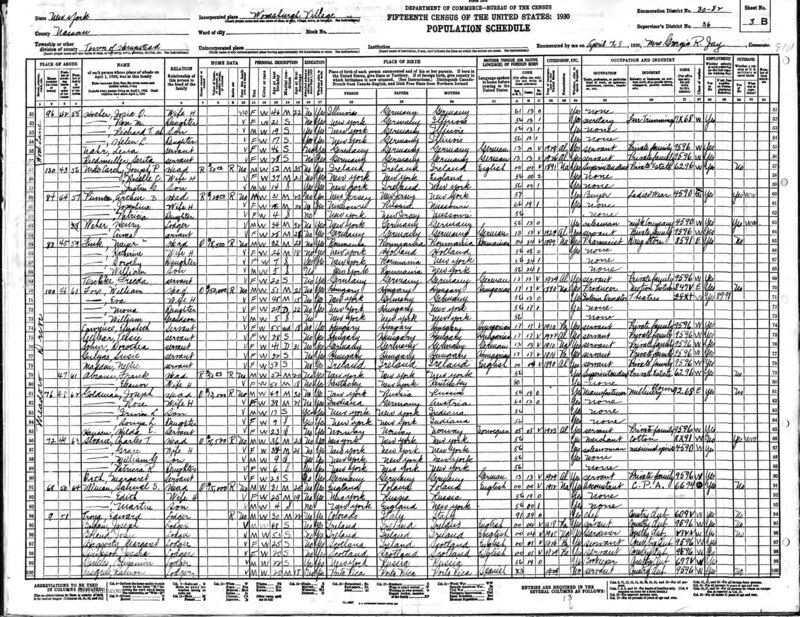 He is also in the 1920 census and, married with a daughter in 1930. We find him and his wife, Josephine, as passengers on a ship coming back from Bermuda, but can't see if he ever continued his bildering or climbing after this experience. More on the Highbridge Park Bridge and The Speedway please read on. park to deteriorate significantly. 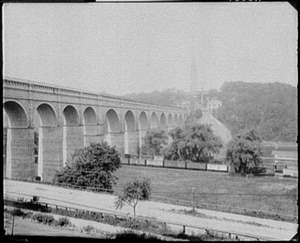 Formerly the site of the Highbridge Reservoir, the land for Highbridge Park was acquired starting in 1865 from the New York City Water Commission. The park grew over the next 50 years. Upper-middle class New Yorkers would promenade along the wide boardwalks in top hats and bustles. The park provided access to the Harlem River and places for horseback riding and other outdoor sports. In the 1890s, the City of New York built a racetrack along the river (for horses) known as the Harlem River Speedway. High Bridge is a footbridge in the park that connects The Bronx to Manhattan and is the namesake of the park. It is the oldest surviving bridge in New York City, built in 1848 during the construction of the Croton Aqueduct. Material on this site is all rights reserved -This is a non-commercial, historical and hopefully educational website. No part of this site may be reproduced, stored in a retrieval system, or transmitted in any form or by any means without prior consent.